A tsunami apparently caused by undersea landslides from the eruption of an island volcano killed at least 43 people around Indonesia’s Sunda Strait, sending a wall of water crashing some 20 metres inland and sweeping away hundreds of houses including hotels, the government and witnesses said on Sunday. About 600 others have been injured, according to the Disaster Management Agency, who said the tsunami hit around 9:27pm local time on Saturday. 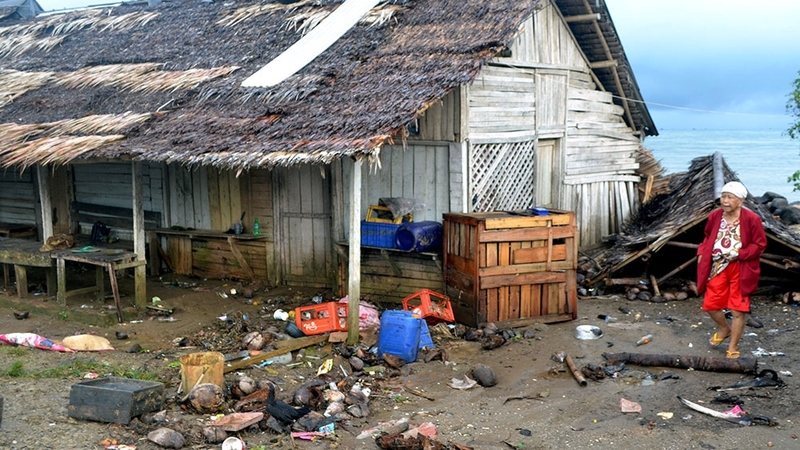 Alif, a resident in Pandeglang district , said the tsunami reached about three metres high. He told MetroTV station that many people were still searching for missing relatives. “Please do not be around the beaches around the Sunda Strait. Those who have evacuated, please do not return yet,” said Rahmat Triyono, head of the meteorological agency. “Next wave entered the hotel area where I was staying and downed cars on the road behind it. Managed to evacuate with my family to higher ground trough forest paths and villages, where we are taken care of (by) the locals. Were unharmed, thankfully,” he said. In September, more than 2,500 people were killed by an earthquake and tsunami that hit the city of Palu on the island of Sulawesi, which is just east of Borneo.